Packaging: Plastic inside then woven bag, pallet or according to your requirement. Series of Stainless Steel Wire: 304 Stainless Steel Wire, 304L Stainless Steel Wire, 316 Stainless Steel Wire, 316L Stainless Steel Wire, 201 Stainless Steel wire, 302 Stainless steel wire, 430 Stainless steel wire, etc. Usage: Wire-drawing,weaving wire mesh, Stainless Steel Wire Mesh, soft pipe, beam of cabinet, steel wire rope, filter material and equipment, spring, etc. We offer FREE samples for your checking before order. Packing: Plastic inside then woven bag, pallet for hard wire; Spool then pallet for soft wire. Or according to your requirement. 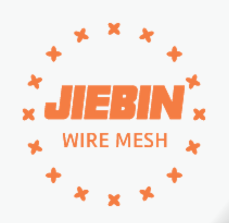 Jiebin is a professional manufacturer of kinds Wire Mesh, Steel Wire products. Such as Stainless Steel Wire Mesh, Aluminum Wire Mesh, Brass Wire Cloth, Stainless Steel Thin Wire, etc. Any interest or need, please contact us freely for more details. Looking for ideal Stainless Steel Wires Manufacturer & supplier ? We have a wide selection at great prices to help you get creative. All the Stainless Steel Wire are quality guaranteed. We are China Origin Factory of 304 Stainless Steel Wire. If you have any question, please feel free to contact us.